Development of collaborative work for a digital mock-up (DocDoku internship). DocDokuPLM is a high end Open Source PLM (Product Lifecycle Management) solution. A major advantage of DocDokuPLM is the data visualization on a DMU (Digital Mock-Up). 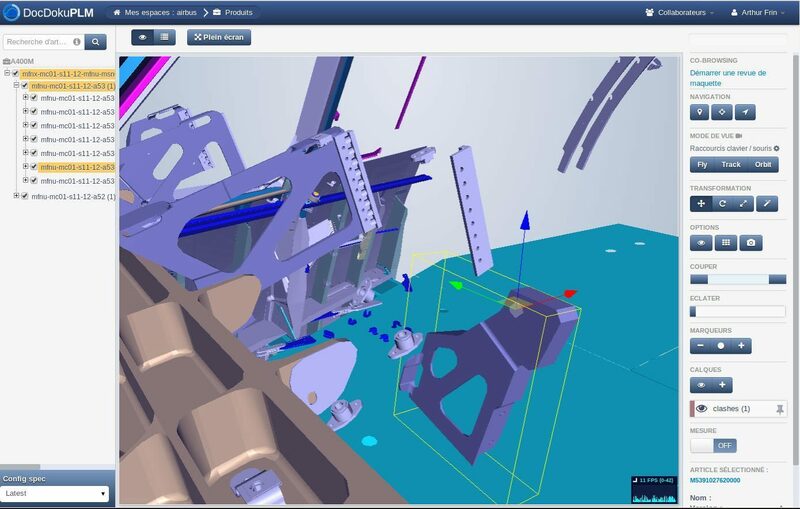 The full-web interface allows you to view 3D parts without any plug-in on recent internet browsers. Three.js creates and display 3D scenes. Underscore.js provides utility functions for programming tasks. Backbone.js gives structure based on the Model-view-presenter (MVP) paradigm. DocdokuPLM uses Java EE 7 for the Websocket API (JSR 356). During my internship I worked on improving collaborative tools for this module. I added features like hiding a part of the scene, moving an object, etc. Transformation tools allow the user to modify an object directly in the scene with the mouse. Secondly, I set up a co-browsing solution for the DMU. Co-browsing is the joint navigation through the World Wide Web by several people on the same web page at the same time. 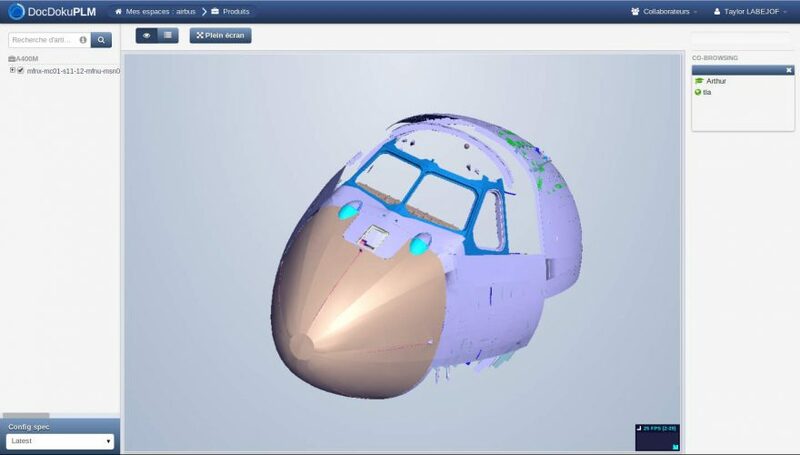 Its application within the DMU allows a user to share its 3D scene in real time with other coworkers. Here are 2 screenshots from different users in a collaborative room.